The father of a missing 3-year-old girl at the center of an active Amber Alert has been arrested. Investigators say Wesley Mathews is now facing child endangerment charges. There's still no sign of the girl. Richardson police said late Saturday evening that based on their investigation inside and outside of the family's home, there is no evidence that the girl was abducted. 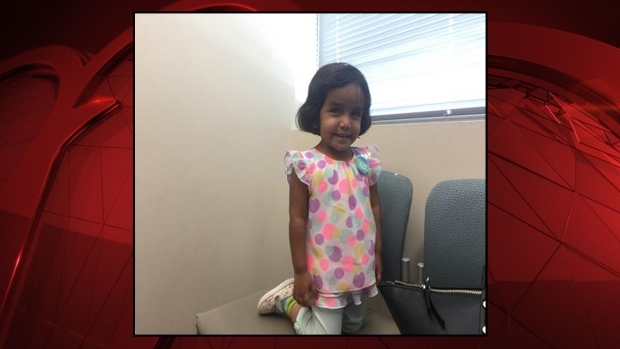 Sherin Mathews, 3, was last seen at about 3 a.m. in the 900 block of Sunningdale, according to information released by the Texas Department of Public Safety and Richardson police. Her father told police he told his daughter to stand near a large tree because she would not drink her milk, according to a probable cause affidavit filed by police. Wesley Mathews said when he returned fifteen minutes later, Sherin was gone. The family reported the girl missing at around 8 a.m. The father of a missing 3-year-old girl at the center of an active Amber Alert has been arrested. Investigators say he is now facing child endangerment charges. "Why was the last sighting at 3 o'clock and the parents not call us until after 8 a.m., that's the question we want answered as well," said RPD spokesman Sgt. Kevin Perlich. "As far as why she was out there, how long she was out there, that's the questions we have for the parents." Mathews walked detectives to the tree where the daughter was last seen which was approximately a hundred feet south of the home and across the alley. The probable cause affidavit also states Wesley Mathews told Richardson detectives he knew coyotes had been seen in the alley where he left his daughter. 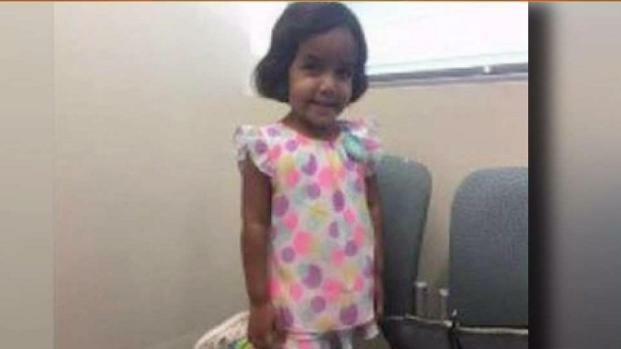 Sherin Mathews is described as 3 feet tall, weighing 22 pounds with black hair and brown eyes. Mathews was last seen wearing a pink top, black pajama bottoms and pink flip-flops. Police said the toddler has "developmental issues and has limited verbal communication skills." An Amber Alert has been issued for a girl reportedly last seen in Richardson. Just before 8 p.m. Saturday, the Richardson Police Department confirmed that the search for Mathews has been called off for the night, but the Amber Alert remained active. Officers also towed three cars from the family's home saying they were going to be searched for any potential evidence. Jose Cherian and several members of a local church gathered at the house and searched the backyard for any clues. "I very much grieve," said Cherian. "I was crying literally when I heard this. Cherian said the Mathews family attend his church and that the the little girl is already a beloved member. "She's very smart and she's a very learner and she's very active in the church even though she's just three-years-old." Cherian said the the girl's parents are good parents. Anyone with information about the girl's location is asked to contact the Richardson Police Department at 972-744-4800.